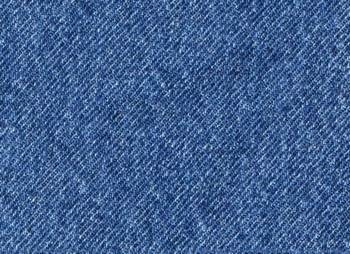 Denim was traditionally colored blue with indigo dye to make blue "jeans," though "jean" then denoted a different, lighter cotton textile; the contemporary use of jean comes from the French word for Genoa, Italy (Gênes), from which the first denim trousers were made. The classical denim is a heavy fabric made from 100% cotton and woven from coarse indigo dyed warp and grey un-dyed weft yarn. The traditional denim is hard-wearing, high density fabrics with a high mass per unit area and a 3/1 or 2/1- twill weave construction. As far as manufacturing process of denim is concerned, it is similar to that of Grey fabric up to the process of weaving with the only difference that in case of Denim Fabric, it is dyed at the stage of sizing where as in case of Grey Fabric, the decision regarding dyeing stage depends upon the finished product.